Everything old is new again. Using recycled material can be a great way to fix up or add character to gifts, home improvement, or other projects you decide to take on. In 2018, $43.7 billion worldwide was spent on the DIY market. A number of television programs are dedicated to DIY projects that include repurposing or upcycling anything from window frames and shutters, bicycles and fish tanks, and even old bathtubs. Your imagination and creativity have no bounds. One type of material used in these projects is wooden pallets. They can be utilized inside for a number of ideas around your home or to give as gifts, because the holidays are around the corner. The following are some ways to make treasures from what would have ended up as trash. Wooden pallets are used to haul large quantities of products and merchandise for stores. For example if a retailer wants to buy wholesale pallets from Walmart to sell overstock or surplus inventory, the products come in on large, wooden pallets for easy transfer. The pallets can then be reused in the stockroom to elevate or organize merchandise. There are companies that come back to take the unused pallets and recycle them. However, more money can be made if these pallets are resold to be “upcycled” from their usual use. In 2011, about 148 million pallets were taken and refurbished into new things. One way to reuse them is thanks to a new trend of building tiny homes. Small and tiny homes help lower the cost of living and, if built on a trailer frame, can become a mobile home for easy travel. Pallets are a way to help keep the prices low. 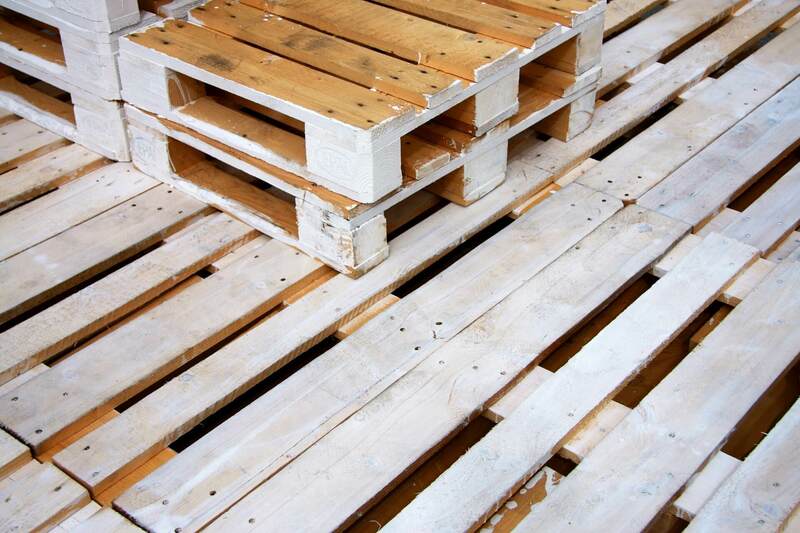 Recycled pallets can be bought for a few dollars and then put to use as floors or walls. After properly sanding them and staining them if you so choose, the pieces can be arranged as you wish. Outside you can build any variety of furniture for entertaining your guests. Pallets can be taken apart and put back together as a fire pit with benches for a seating area. Unique planter boxes can be assembled for outside and painted to match your decor. Pallets are also versatile for children’s rooms or outside play. Sandboxes can be built low to the ground or standing on legs would be fun and cheap Saturday afternoon family project. A small table for homework can be constructed and painted with chalkboard paint for a quick and easy gift idea. Chairs made from these recycled materials can be fixed with hinges for limited spaces. Local art studios offer classes that teach you how to paint on canvas and on reused pallets. Usually occupied by some treats, wine, and a few friends, you can sit down for an hour or two and be shown how to create projects for your home or as gifts. Quotes from your favorite movies or colored strips of wood placed together in a flag design are a few ways ideas to explore. Don’t worry if your painting skills aren’t up to par; an art instructor will be there to guide you. If you would rather paint in the comfort of your home, you can get yourself a few choice pieces of pallets and watch a variety of tutorials or create your own designs. You can go over to your craft store and stencil on something premade for any room in your house or a loved one’s home. If painting is not your style, you can hammer in a design with nails without or with colored yarn wrapped around your choice of hardware to give the piece some dimension. For the coffee or tea lover in your life, you can put together a tray for their favorite beverage to rest on for their bed or nightstand. With a little bit of imagination, the possibilities are endless of what you can make with wooden pallets.